To rein in the present political “Age of Anger,” everyone must suspend the belief that their way of life is morally superior. The violence of right-wing extremists is matched by the arrogance of the liberals, who behave just as intolerantly towards those whose beliefs differ from theirs. The resurgence of nationalist political movements has polarized the world, including India. The only benefit of political anger is to make us go out and vote. We live in an “Age of Anger,” according to Pankaj Mishra in an insightful, but flawed book with the same title. No one can deny that the resurgence of nationalist political movements has polarized the world, including India. Far too many countries are experiencing endemic violence, fuelled by hatreds towards minorities and a toxic form of nationalism. And it is not only the nationalist right that is angry, but the left as well. It bemoans the loss of its privileges. Too often, the violence of right-wing extremists is matched by the arrogance of the liberals, who in the name of tolerance behave just as intolerantly towards those whose beliefs differ from theirs. In India’s case, the fault lies on both sides. That is why one of Mr. Modi’s best resolutions for 2018 should be to heal the divide and aim to make our lives calmer with a return to a more civil political discourse. Who in India is angry – and why? It won’t be easy. My friends in the intelligentsia are angry at Mr. Modi for turning the country Islamophobic. They have still not got over his victory in 2014 and find it galling that he continues to remain popular with no alternative in sight in 2019. The secular left is wrong in diagnosing India’s main problem as Hindu hatred of Muslims. Meanwhile, my Hindu friends are angry because they feel their religion and culture is denigrated by intellectuals and a corrupt political class—some even feel ashamed of their Hindu identity. Next, my cosmopolitan business friends are angry because India has been left far behind by East and Southeast Asia, which have become mostly middle-class societies. Dalits and lower OBCs, for their part, are angry because they feel humiliated and excluded at a time when BJP’s upper-caste ethos prevails. 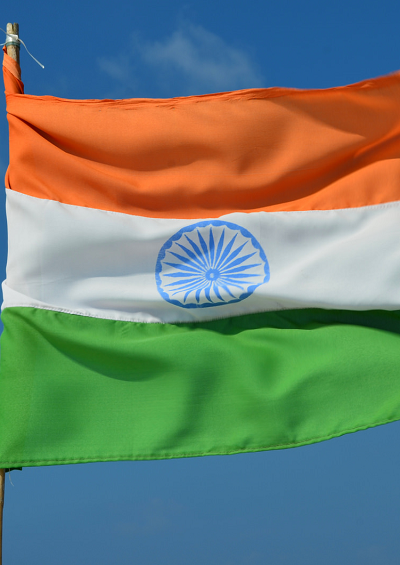 Underlying these realities is a widespread resentment of India’s English-speaking elites. They are charged with having cornered “modernity’s choicest fruits.” At the root, India’s dispossessed are angry because of Modi’s government’s failure to deliver the promised jobs and feel cheated at being denied those fruits. In a mechanism that plays itself out also in much richer, more developed countries, all these angers find a ready tool in assertions of identity. In India, it is the root cause of why we see the agitations of the Patidars in Gujarat, Jats in Haryana, Gujjars in Rajasthan, Kapus in Andhra and Ahoms in Assam. Anger usually contains an implicit wish for some kind of revenge, a desire that the wrongdoer suffers. This is, of course, irrational – for the wrongdoer’s suffering cannot cancel or undo the suffering, as Martha Nussbaum explains in her recent book, Anger and Forgiveness. The answer to anger, according to Nussbaum, is either to “laugh at itself till it goes away” or find a leader with “compassionate hope” like Mahatma Gandhi, Martin Luther King or Nelson Mandela, who can teach people the value of forgiveness. Resisting anger, Nussbaum thinks, is a mark not only of our humanity, but of our sanity. Although her book is concerned with the United States, her arguments apply equally to India, also an “aspiring society.” The only benefit of political anger, it seems, is to make us go out and vote. What then is the right response to the politics of anger? In Indian mythology, Yudhishthira’s answer in the Mahabharata to Duryodhana’s anger was forgiveness. But we are dealing with a different sort of politics today. A clear starting point is toleration. In India, that means not only must believers tolerate each other’s different beliefs, but also the atheism of nonbelievers. Disbelieving secularists, similarly, must value the convictions of religious citizens. First and foremost, everyone must suspend the belief that their way of life is morally superior. Mr Modi must remain single-mindedly focused on creating jobs and show zero tolerance for any act of violence. Perhaps all nations around the world struggling with the current wave of politics of anger should remember what the Buddha said: You will not be punished for your anger, you will be punished by your anger. 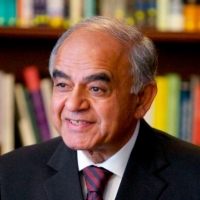 Gurcharan Das is a renowned author, commentator and public intellectual. He is the author of Kama: The Riddle of Desire (Penguin) available on Amazon.